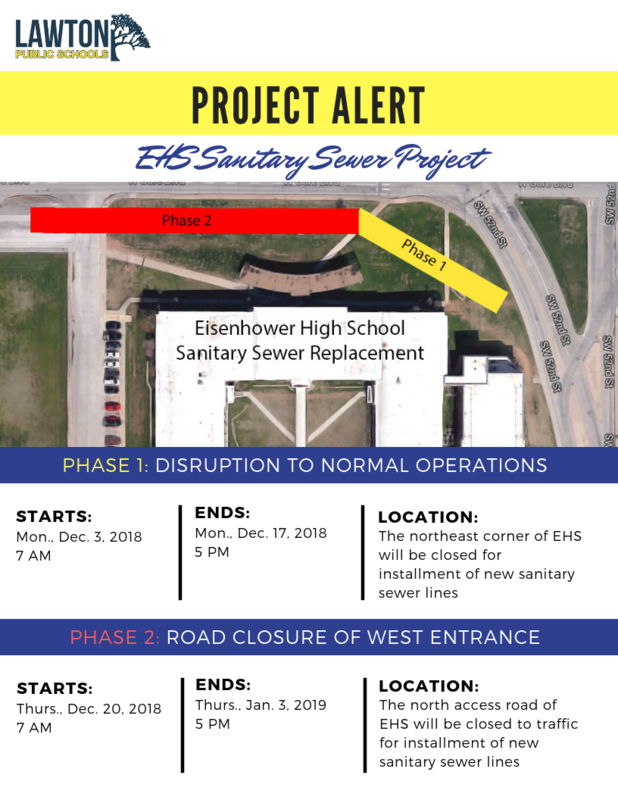 Please see the below information regarding the Eisenhower High School Sanitary Sewer project. This installation will be completed in two phases. This project is part of the Eisenhower Middle School rebuilding slated for completion in the Spring of 2020.